Leanne Kenneally graduated from the Queensland Conservatorium of Music Griffith University with a Bachelor of Music in 1993 and a Graduate Diploma in 1994. In 1995, she was the winner of the National Vocal Section of the ABC Young Performers Awards. Leanne Kenneally made her professional opera debut in 1996 with Opera Queensland as Donna Anna in the company’s new production of Don Giovanni, and in the same year made her debut with Opera Australia as Pamina in The Magic Flute at the Sydney Opera House. Since this time, Leanne Kenneally has appeared regularly with Australia’s leading opera and concert organisations. Her appearances with Opera Australia include the roles of Juliette in Roméo et Juliette, Johanna in Sweeney Todd, Countess in Le nozze di Figaro and Giulia in La scala di seta—all new productions—as well as Leila in Les pêcheurs de perles and Pamina, the latter also on tour with OzOpera. She has also sung Fiordiligi in Così fan tutte and Oscar in Un ballo in maschera with Opera Queensland and Leila with West Australian Opera. As a result of receiving Opera Foundation Australia’s 1999 prestigious German Operatic Award, Leanne Kenneally was a member of the Cologne Opera in the 1999/2001 seasons where her roles included Papagena, Novizia in Suor Angelica and Zerlina in Die Banditen. On the concert platform, Leanne Kenneally has sung with the Queensland, West Australian and Tasmanian Symphony Orchestras, with Orchestra Victoria, the Sydney Philharmonia, the Melbourne Chorale and the Bangkok Symphony Orchestra in a wide range of repertoire that includes Handel’s Messiah, Haydn’s Creation, Mozart’s Requiem, Rossini’s Stabat Mater, Mendelssohn's Elijah and Britten’s Les Illuminations. In 2003 she sang Third Norn in concert performances of Götterdammerung for Perth International Festival and sang Leila in Opera Australia's Opera in the Domain in Sydney. She also performs regularly in recital for the Youth music Foundation of Australia. More recently Leanne Kenneally has sung Fiordiligi in Così fan tutte, Juliette in a new production of Roméo et Juliette, Anne Trulove in The Rake’s Progress, title role in Lakme and Countess in The Marriage of Figaro; all for Opera Australia; Countess in Le nozze di Figaro with Opera Queensland, made her debut with State Opera of South Australia as Mimi in La bohème; Brahms Ein Deutsche Requiem for Adelaide Symphony Orchestra, Opera in the Vineyards in the Hunter Valley and at Pepper Moonah Links Resort, Philomele in Richard Mills’ new opera The Love of the Nightingale in both the Brisbane and Melbourne seasons; Oscar in Un Ballo in maschera for State Opera of South Australia and Messiah for the Tasmanian Symphony Orchestra. In 2007 Leanne recorded the role of Venus in Saint-Saën’s Hélène which has been released by Melba Recordings. 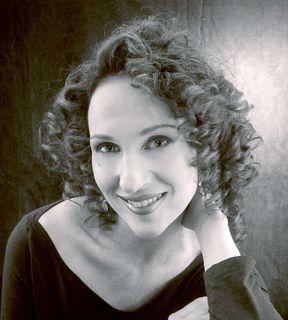 During 2008 Leanne’s Australian performances included Nuria in Golijov’s Ainadamar for the Adelaide Festival, as the soprano soloist in Mahler’s Fourth Symphony with West Australian Symphony Orchestra under the baton of Simone Young and Leila in The Pearlfishers for Opera Australia in Sydney.